1. GTMedia V7 do not support 8psk turbo satellite channels in North America. and inside only Europe satellite list, America and other area user please select BLIND SCAN, it can scan download all channels. 2. For hardware space limit. 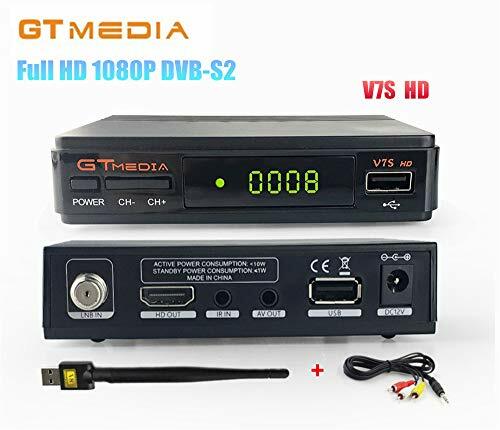 GTMedia V7S new firmware not support iptv function and optimized powerVU and channel store function. 3. For current TV receiver device, the matching USB WIFI module should be RT5370; USB WIFI modules of other specifications are mismatching. If you have any questions about this product by Freesat, contact us by completing and submitting the form below. If you are looking for a specif part number, please include it with your message.